Unprecedented winterkill damage to golf courses on the Grand Strand of Myrtle Beach, S.C. has led to more than 10 course closures this summer to allow for recovery, The Sun News of Myrtle Beach reported, and numerous other courses are undergoing an extensive amount of sodding to expedite the recovery process. 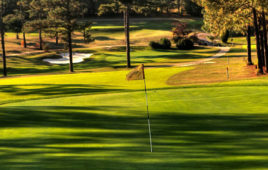 Glen Dornoch Waterway Golf Links, Tradition Club, Myrtlewood Golf Club’s PineHills Course, Indigo Creek Golf Club, International Club of Myrtle Beach, Diamondback Golf Club and Panther’s Run Golf Links have all closed or are scheduled to close this month to redo all of their greens, the Sun News reported. Long Bay Club closed on June 13 for approximately three weeks to allow its greens to recover, the Sun News reported. Lion’s Paw Golf Links was expected to reopen on June 14 with 10 new greens, and the 27-hole Aberdeen Country Club will be shut down for at least a month as seven greens on its Woodlands and Meadows nines are replanted with sprigs. Aberdeen’s Highlands nine will also be closed to allow its greens to recover and should reopen later this summer, the Sun News reported. In addition, the Sun News reported, the Bay nine holes at the 27-hole Sandpiper Bay Golf & Country Club are closed for green renovations. Other courses may still opt to close or can justify closing with the extent of the damage, the Sun News reported. Though some courses in the Myrtle Beach market have come through the winter in decent shape, the Sun News reported. few were spared damage ,and most are in some form of recovery as Bermudagrass grows and sprawls in the summer heat. Winterkill is a term used to describe grass that is damaged or killed by harsh winter conditions. It affects warm-season grasses, and warm-weather Bermuda is the predominant turf on greens, tees, fairways and roughs in the Carolinas, the Sun News reported. Some courses overseed their greens with the cool-weather grass poa trivialis to overtake the Bermuda when it is dormant, the Sun News reported.while others don’t and use a pigment to color the greens. The courses that didn’t overseed discovered the damage in March and April, while the courses that did have just discovered the damage over the past couple weeks, as the overseed has died off. It’s believed the widespread winterkill was caused by an ice storm and several consecutive days of below-freezing weather in early January, and may have been exacerbated by frosts in March following a warm February, the Sun News reported. Winterkill affected all areas of many courses, not just greens, the Sun News reported, but courses can withstand damaged grass on tee boxes, fairways and rough more than on putting surfaces. Less than 10 Grand Strand courses have the cool-weather bentgrass on greens, the Sun News reported, and they have reportedly come through the winter in good shape, on the greens at least. Those courses include Man O’War, The Wizard, The Pearl West, Crow Creek, Leopard’s Chase at Ocean Ridge, Shaftesbury Glen Golf & Fish Club, and the Sea Trail Maples Course. A few Grand Strand courses that have covers to protect greens from extreme cold have also survived the harsh winter, the Sun News reported. Those courses include Prestwick Country Club, Tidewater Golf & Plantation and The Dunes Golf and Beach Club. “If you didn’t cover your greens, you had some form of it,” said George Gore, managing partner at Glen Dornoch and Possum Trot, who said he will be buying covers for the new greens at Glen Dornoch. The winterkill damage is costly to courses in multiple forms, the Sun News reported. Though his courses didn’t close, Jamie Roderick, Director of Golf at the three-course Sea Trail Resort, estimates the facility lost $500,000 in revenue this spring because of the green conditions at two of his courses. Sea Trail did not overseed greens. Courses will lose revenue while closed, and Gore said the expense of redoing greens is between $100,000 and $200,000 depending on the method. A no-till renovation with fumigation is about $100,000 per 18 holes, and stripping the green and rebuilding it with a few inches of new greens mix and planted sprigs is closer to $200,000, the Sun News reported. “We’re getting a lot of local play and it’s going to hurt us . . . but we’re going to do it the right way,” Gore said of Glen Dornoch’s closing. Those invested in the Myrtle Beach golf market are hoping the winterkill conditions won’t impact future business, the Sun News reported. “We’re going to have to get in front of everybody before the fall golf season and let everybody know what we’ve done, redoing all these greens. 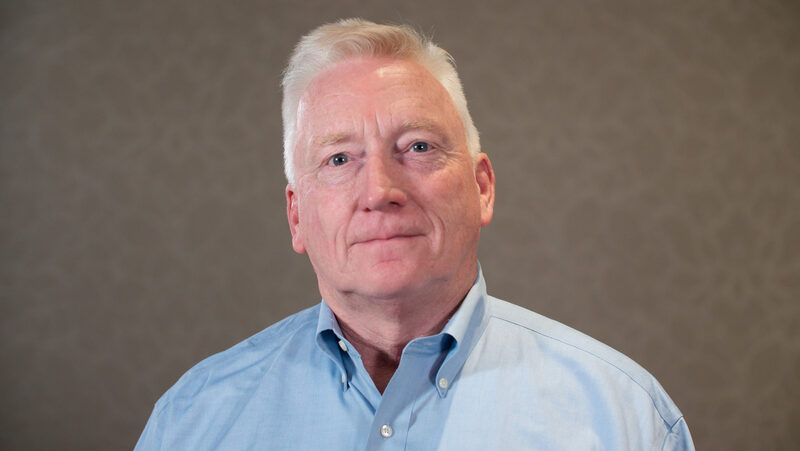 I think that’s important for all of us,” said Chuck Hutchinson, General Manager at Indigo Creek and partner in East Coast Golf Management, which manages three Strand courses and has a marketing cooperative involving 15. Tradition Club in Pawleys Island and the PineHills Course in Myrtle Beach, which are in FGI’s portfolio, are closing to replace their Tifdwarf Bermuda greens with Sunday ultradwarf Bermudagrass, which is featured at Arcadian Shores Golf Club, the Sun News reported. The greens at both courses will also be expanded about 20 percent, back to their original sizes. PineHills will close June 22 and is expected to reopen by August 6, and Tradition will close June 24 and reopen by August 14. “Both of them had old TifDwarf greens that needed to be updated, so it’s kind of exciting to have an opportunity to do it,” Morgan told the Sun News. Later this year, FGI plans to add fescue grass in areas of rough at Myrtlewood to complement the existing mounding, and the course will remain open during that project, the Sun News reported. Diamondback in Loris will close June 29 to redo the greens with Sunday Bermuda, and may reopen between August 10-16, the Sun News reported. Indigo Creek in Murrells Inlet closed earlier this month and could reopen by September 1 with new Sunday greens, the Sun News reported. Work being done to the course includes clubhouse renovations, new drainage and bunkers, irrigation upgrades and the removal of trees. About 40 have been removed in the past couple days. Glen Dornoch closed on June 11 and could reopen by early September with Champion ultradwarf Bermuda greens in place of its old TifDwarf, the Sun News reported. “We’re going to put a good putting surface on there and we’ll come out better in the long run,” Gore said. International Club in Murrells Inlet sprigged its greens in early June with a high quantity of Sunday Bermuda sprigs for accelerated growth, and Superintendent Jim Knaffle said he hopes to reopen July 11, the Sun News reported. While it’s closed, the entire course will be aerated and work will be done on bunker drainage, mulching around the clubhouse and landscaping around the course. Special pricing is planned for July. Sandpiper’s Bay nine in Sunset Beach, N.C., closed in early June and will be sprigged with Sunday Bermuda, as will four greens on the Sand nine that will have temporary greens until the new greens are ready for play as soon as late July or early August, the Sun News reported. At the four-course Ocean Ridge Plantation in Sunset Beach and Ocean Isle, N.C., both Lion’s Paw and Panther’s Run closed on June 4, the Sun News reported. Lion’s Paw’s 10 new greens have been sodded with the same MiniVerde ultradwarf Bermuda that is on the layout’s other eight holes. Panther’s Run is expected to reopen July 13, with new greens that have been changed from MiniVerde to TifEagle ultradwarf Bermuda. At Sea Trail, Roderick said the course used Champion sod from the closed Heather Glen course this spring, and has ordered 6,400 square feet of Champion sod from Texas that is due to arrive on June 20, mainly for a couple of greens. The courses have used six temporary greens but Roderick expects the Byrd and Jones courses to be in pristine shape by mid-July, the Sun News reported. The four-course Barefoot Resort has utilized sodding on its layouts, and Crown Park Golf Club used a couple of temporary greens while sodding some TifEagle greens, the Sun News reported. “We’ve weathered the storm now and are on the other side,” said Rob Lane, Crown Park’s head pro. Bradley Vaughan, Sales and Marketing manager for Arnold Palmer Golf Management’s five Grand Strand courses—Moorland, Parkland and Heathland at Legends Resort, Heritage Golf Club and Oyster Bay Golf Links—told the Sun News that those courses have remained open as the company formulates its plan to combat any damage. “All of our golf courses are still open for business and getting better every day with this heat,” Vaughan said. With all of the renovations and repair work being done, most courses expect to be fully recovered later this summer, which they hope will result in a profitable fall season and healthy grass going into winter dormancy, the Sun News reported.